People stormed the theaters last weekend to see the new film, The Son of God. As money poured in ($26 million to be exact) during opening weekend, Hollywood once again witnessed that movies with Christian themes are profitable. This is regardless to whether or not they are true and accurate. • Noah repeatedly tells his family that they were the last generation and were never to procreate. So when his daughter-in-law becomes pregnant, he vows to murder his own grandchild. But he finally has a change of heart. • Noah’s family only consists of his wife, three sons, and one daughter-in-law, contrary to the Bible. • “Rocks” (that seem to be fallen angels) build the Ark with Noah! • A wounded Tubal-Cain axes his way inside the Ark in only about ten minutes and then hides inside. But, Hollywood is not the only one who is re-telling the story of Noah. On the same day Noah comes to theaters, Living Waters is releasing their own story of Noah called Noah – And the Last Days. But there are sizeable differences between the two. Ray Comfort, Founder and President of Living Waters, says, “Theirs is a fake Noah; ours is the real thing.” Another difference is that Living Waters is releasing their version on YouTube for free. One is to entertain and make money. The other has an entirely different motivation. I watched Noah – And the Last Days today. The format is similar to Living Waters other projects like “180” and “Evolution vs. God”. Ray starts off with the question, “Do you believe in the man named Noah, like in the Bible?” Then he asks, “Do you think that God sent a flood and drowned the whole world?” The film links the true account of Noah to the end times, as Christ did in Luke 17:26-27. “As in the days of Noah, so shall it be also in the days of the Son of man. They did eat, they drank, they married wives, they were given in marriage, until the day that Noah entered into the ark, and the flood came, and destroyed them all.” Giving ten clear signs of the last days, this film is very relevant to the 21st century. 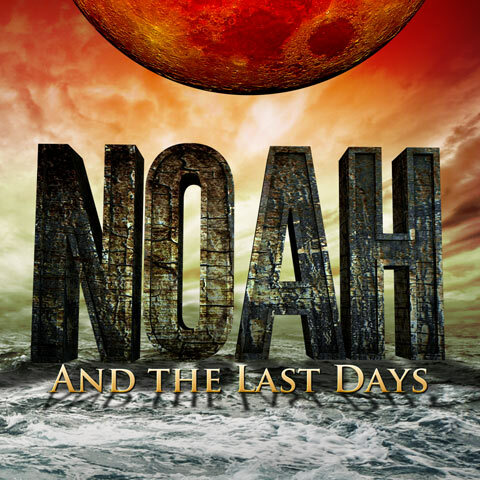 Noah – And the Last Days was encouraging in that it strengthened my faith. The reminder that we are indeed living in the last days is exciting! As one pastor use to say, “It is getting gloriously dark!” But, it was also a great reminder that as a Christian there is a lot to do. The story of Noah is the story of God’s righteous judgment on mankind. And God will once again judge. “Knowing therefore the terror of the Lord, we persuade men,” 2 Corinthians 5:11a. I could not help but be burdened for the souls of the lost while watching the interviews. And to think that there are millions more just like them all around us – in my neighborhood, at the store where I buy groceries, in the parks, across the street, in our churches – is sobering! But, the story of Noah is also a story of God’s mercy. And this is where it gets even more exciting! The good news is that God is still extending His great mercy! And this film clearly presents that good news, the gospel. So not only does it inspire Christians, it helps to equip us to share the gospel. I highly recommend that you watch it and share it with others. For the price of just 2 movie tickets you can pre-buy the download version of Noah – And the Last Days. By doing this it helps Living Waters recoup their cost, as well as underwrite the cost of producing the actual DVS. Remember this is an outreach project. Their motivation is not money, but getting the gospel out. When you purchase the download you also get a free downloadable Companion Guide containing further evidence for the Ark and the worldwide Flood, plus a special message by Ken Ham, “Creation and the Last Days”. Then on March 28th, they will release the movie on YouTube for free and make it available on DVD. For $8.00 you can also purchase 100 Noah tracts to hand out, which I plan on doing. You can see it here. Whatever you do, get the word out. Share this with your friends, post links on social media, and let’s take advantage of this tool to help reach the dying world! Time is short!